Some of the Charities & Community Organisations we're pleased to support. We’re also humbled by how our natiive team have wholeheartedly embraced these causes and in many cases even worked after hours to ensure the success of such ones! So Who Have natiive Been Able To Support? natiive have provided web support during this time to promote before and to showcase afterwards this fantastic Illawarra event. This year?s Convoy will be held on Sunday, November 16 starting from Illawarra Coal?s West Cliff Colliery on Appin Rd at 8am and follow a route that will take them down Mt Ousley through Warrawong and past Stockland Shellharbour, then onto Croome Road, Albion Park Rail. 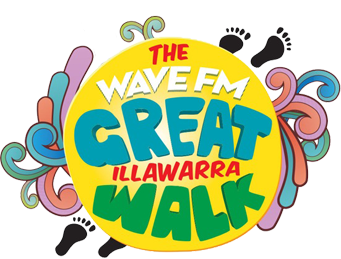 The Great Illawarra Walk has always supported the interests of sick children. We developed a website for this cause in late 2011 and it’s still going strong. natiive have been on the committee now since 2010. The walk held in late March each year starts at Shellharbour and walks it’s way along the coast, over the Seacliff bridge up to Coalcliff. And the next day it’s back again. But participants can walk 1km or whole 100. Grant a local KidzWish is all about raising funds to support vital KidzWish services and programs that enrich the lives of sick, disabled and disadvantaged children in the Illawarra. natiive have been involved for over 5 years with this great charity. During that time we’ve seen support for children in the Illawarra include new cars, wheelchairs, walking frames, hearing aids and many other touching things. We have supported the Illawarra Academy of Sport (IAS) for the past 4 years with a great web presence. We’re really pleased to support IAS in it’s program of discovery and development of new potential Australian athletes. natiive are proud to support HARS with a brand new web presence in 2014 that makes it easy for the general public and aviation buffs to get the latest news and updates on happenings in the organisation. Launched in 2006, Illawarra Women in Business is for those women who are business oriented, want to create and foster business relationships and who are positive and results oriented. natiive have been involved for over 5 years now with this excellent organisation. Rise Above was formed in 2010 to look after local children with cancer. The charity looked to raise funds from the corporate community during a 24 hour walk at the Illawarra Fly. It was a fun event and the natiive team (then Aftershock) enjoyed a great time walking for an hour and enjoying the atmosphere.